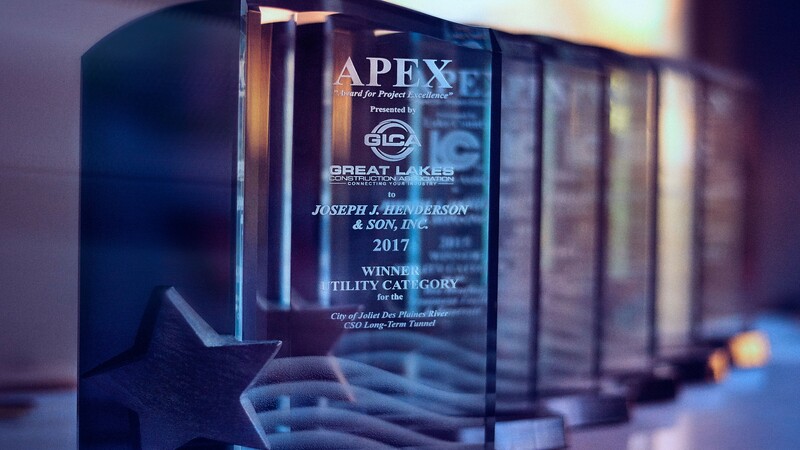 Project and Safety Awards – Joseph J Henderson & Son, Inc.
2017 – Great Lakes Contractors Association Safety Award for an outstanding safety record in Division III: 100,001 – 500,000 man-hours worked. 2016 – Great Lakes Contractors Association Safety Award for an outstanding safety record in Division III: 100,001 – 500,000 man-hours worked. 2016 – Underground Contractors Association Safety Award for an outstanding safety record in Category 3: 100,000 – 150,000 man-hours worked. 2012 – Lake County Contractors Association Safety Award for an outstanding safety record in Division III: 100,001 – 500,000 man-hours worked. 2011 – Lake County Contractors Association Safety Award for an outstanding safety record in Division III: 100,001 – 500,000 man-hours worked. 2010 – Lake County Contractors Association Safety Award for an outstanding safety record in Division III: 100,001 – 500,000 man-hours worked.